I like the idea of a journal because I write it for me, meaning I am my Target Audience—this gives my imagination a lot of free rein. Take a look at some of poet Bernadette Mayer’s journal concepts: Dreams, food, finances, ideas, love, ideas for architects, city designs…even telephone conversations. There are six pages of journaling ideas and concepts that Bernadette lists. It is a landmine of prompts and I’m thinking of posting it in my room. You should too. The list reads like a catalog of observations we could make while we go on with our lives—while going for work we can change that jumpy bus ride into a poem or talk about the saddest things in our lives in prose. You could have a journal for your sweetest dreams and one for your fears. There is a format designed to portray every experience in our lives. I started journaling when I was a teenager. I guess it was the worst time to start as I ended up burning my diary. Teenagers don’t usually store their diaries in case they want to write a book some time in the future. After burning the diary, which didn’t have any acute observations of the world around me but was more me-centric, I abandoned the concept of the cute little diary from Archie’s with the hearts and teddy bears and the Lock. There was a Lock. I really shouldn’t have burnt it. The next time I started writing a diary was when I became a Mom. This journal was different as I was obsessive about scrawling down feeding times, potty frequencies, fever occurrences, doctor’s appointments, vaccination dates, but all in a very disorganized fashion. At the same time I was typing in entries. When I typed, my journals were different and when I wrote by hand they represented some other aspect of me. “I hate what I write,” a journaling novice told me. “When I look at what I’ve written, all I see is pages and pages of rubbish, trivia, blah blah blah, and I start thinking how I could be this way. How do you get past that?” It happens when you write. I was ashamed too at some point (now don’t come looking for my diaries!). A lot of you comes out. In the beginning, your diary could be about the things you hate the most, the people you never want to see but who keep showing up, the life you don’t want to live but are living anyway. Even years later, when you think you are over IT, IT raises its head and you lambast IT all over again. You got to get yourself out of you before you see the rest of the world. I guess that is why people who write are very introspective at some point or the other in their lives. Once you write yourself out in your diary, a lot of room will enter your writing space—and you will start to do word dances. The free writing finally starts becoming meaningful writing. I promise you that much. Neelima Vinod spent her childhood in the Persian Gulf, with holidays in the warm, dreamy climes of southern India. Writing about the supernatural is an inevitable outcome of her exotic background. She now lives in Bangalore, India. I’ve kept a journal since my teens, writing about boys, girl friends, and the beginning of my poetry writings, as well. I remember taking a break for several years, then writing again when I met my husband back then. Then, adding more chapters when I became a Mom. I wrote for me. My thoughts became real when penned on paper. I didn’t need anyone’s approval or opinions. Writing was simply for my pleasure, whether I was happy or sad. Thanks for sharing your journaling experience Lauren. It is amazing that you have preserved your entries and that you compare your entries of ‘now’ with previous ones. You are right–it is cleansing of the greatest order. I really wish I hadn’t parted with my own! I think ‘profound’ journal entries are the result of much tweaking….considering how sometimes diaries are written in view of imminent publication. That changes the way you write automatically! Thank you James Joyce for your wonderful insight into your attempt at journaling. Sometimes the very idea of journaling stops a writer…it looks like you are one for spontaneity! Journaling is very important even if you are not a writer for it helps you to give expression to your feelings. Even if you are writing about day-to-day events, some emotional spillage will occur and it helps in clarifying things. Through venting you release some of the stuff that is bottled within you, and you may not even have known it. 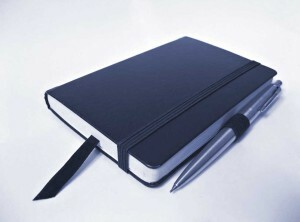 If you are a writer, you will begin to understand the importance of journaling when you begin it and do it for a while. Apart from the cleansing of a kind that occurs, there are prompts there to be picked up and worked with. And you may be amazed also by the stuff you have written when you come back to it after a while. Yes Abha….for me journaling started out as observation and went on to become venting and then therapy. There’s no better friend on earth than the page! Thank you for sharing your revelations on journaling!